Betafo, a rural community in central Madagascar, is divided between the descendants of nobles and descendants of slaves. Anthropologist David Graeber arrived for fieldwork at the height of tensions attributed to a disastrous communal ordeal two years earlier. As Graeber uncovers the layers of historical, social, and cultural knowledge required to understand this event, he elaborates a new view of power, inequality, and the political role of narrative. 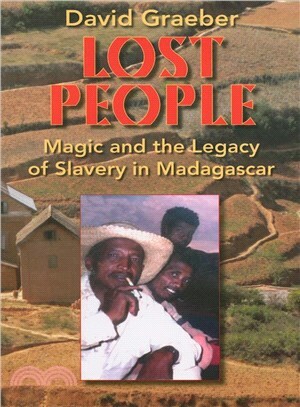 Combining theoretical subtlety, a compelling narrative line, and vividly drawn characters, Lost People is a singular contribution to the anthropology of politics and the literature on ethnographic writing. David Graeber is Reader in Anthropology at Goldsmiths, University of London. His books include Debt: The First 5000 Years; Direct Action: An Ethnography; and Toward an Anthropological Theory of Value: The False Coin of Our Own Dreams.